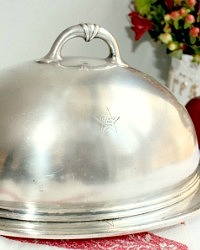 Vintage Hotel Silver Food Dome and Serving Tray or Under Plate, marked with the star logo of the Chinese Star Cafe. It's rare to find both the dome cover and the platter! 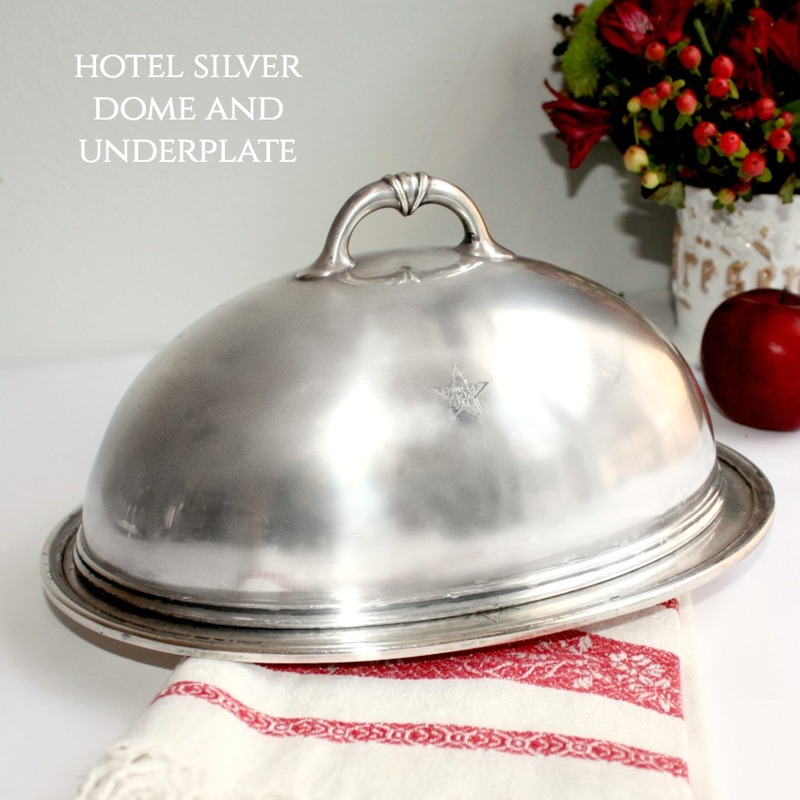 A great addition to your collection of antique and vintage Hotel Silver, this set is classic in design and has a warm patina. Made by R Wallace, marked Silver Soldered. Not perfect, there is wear and a small dent in the dome, this doesn't bother me, but please don't buy this if you are looking for new. 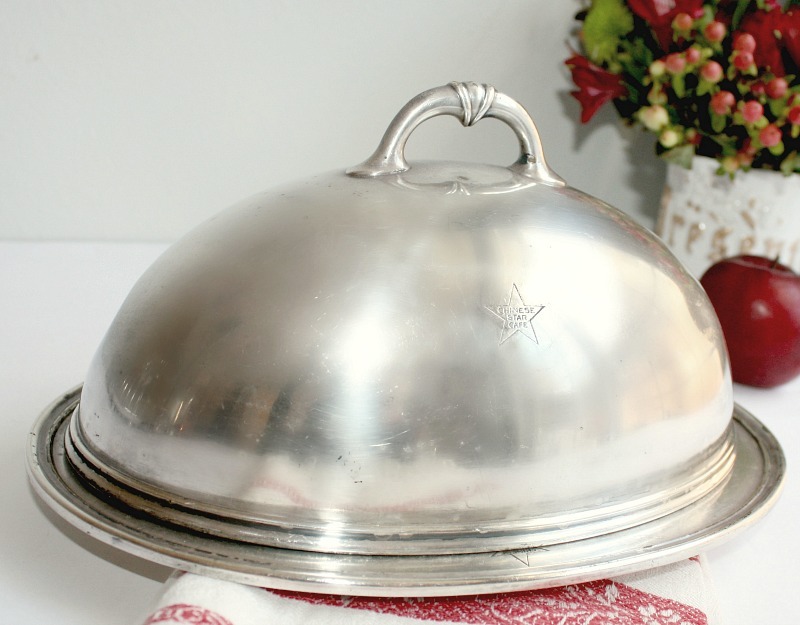 After all, it's served hundreds of tempting hot dishes over the last almost 100 years! 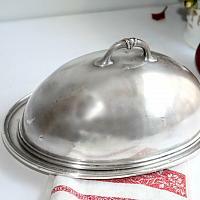 Decorative and fabulous for display, or to keep your gourmet French dinner warm at the table. 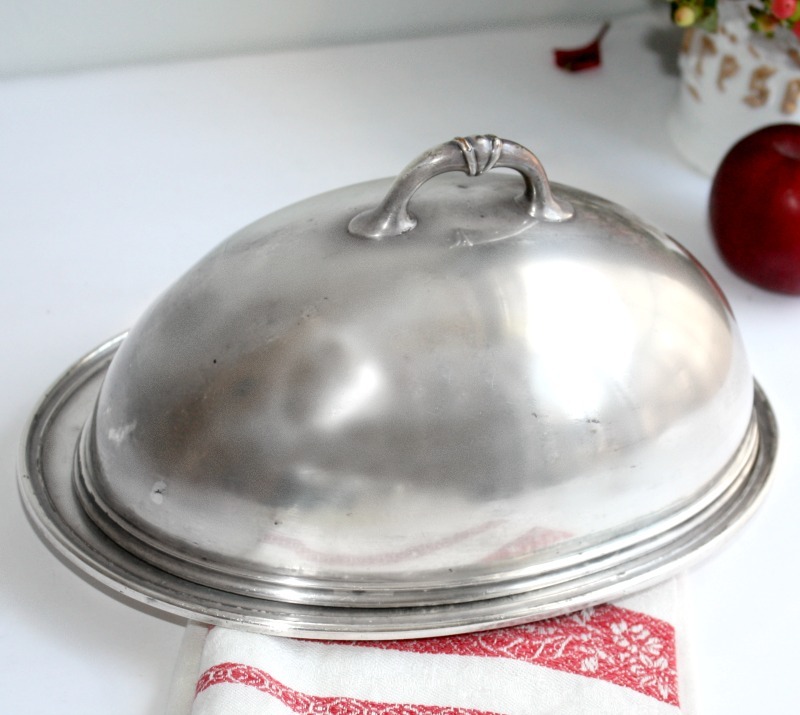 Measures platter: 10-1/4" x 7"; dome: 9-1/4" x 6".